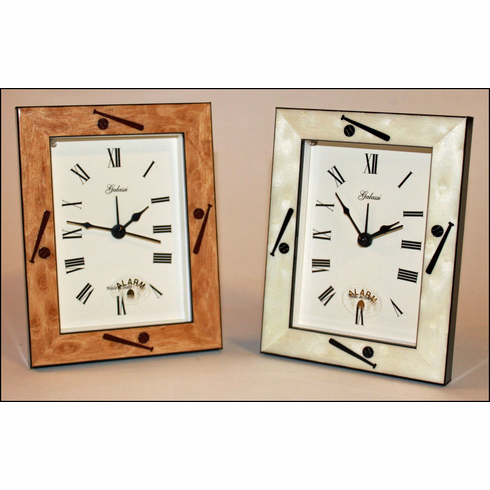 Italian wood baseball frame quartz alarm clocks in 2 colors! Appx. 3 3/4" wide x 5" tall. When you touch the snooze button, the clock lights up. One AA battery not included. Choose white burlwood with embossed black baseball bats and balls -or- cashmere burlwood with embossed brown baseball bats and balls.